Back in the day, my great grandfather did a little bit of woodworking and a few of his pieces are still floating around in family member’s homes. 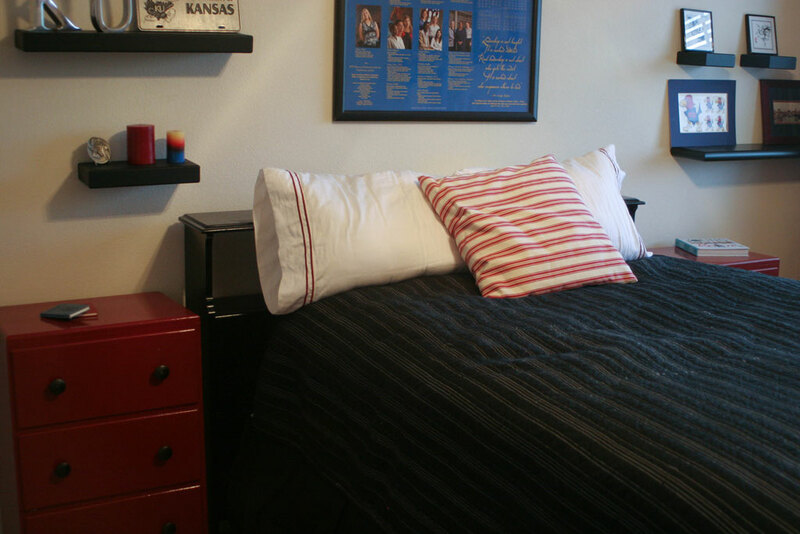 Two of them were small twin dressers which had been separated, but neither were being used anymore. My aunt had one she was willing to get rid of and my mother had another in her basement that wasn’t being used. So I decided these two would be perfect side tables for my guest room (additional storage for the win!). My aunt’s had been painted a creamy white color and my mom’s a blue one, somewhere through the years. So I decided these two needed to be spruced up in a matching spray paint before they made it into the guest room. Here’s my super fast tutorial on how to spray paint a piece of furniture (ps… if you haven’t used spray paint in a while… that stuff is magical… I think its come a long way in the last ten years). 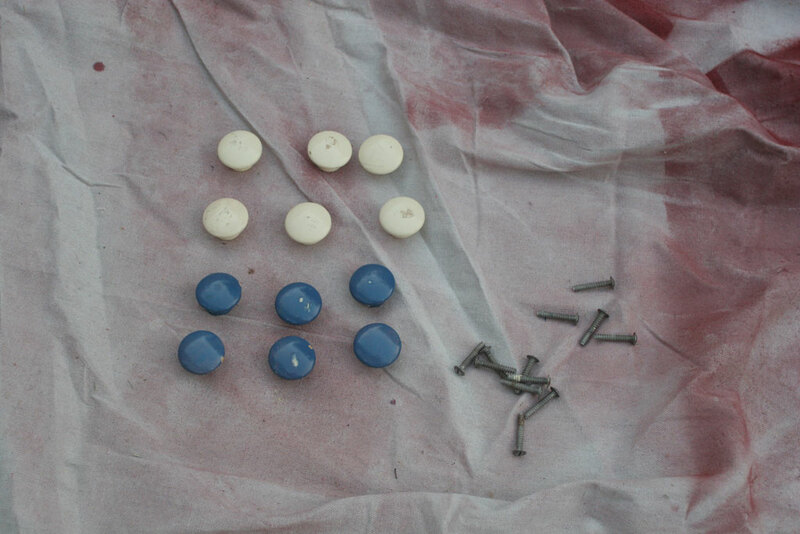 Step 1: Remove the hardware and cover any areas you don’t want painted. 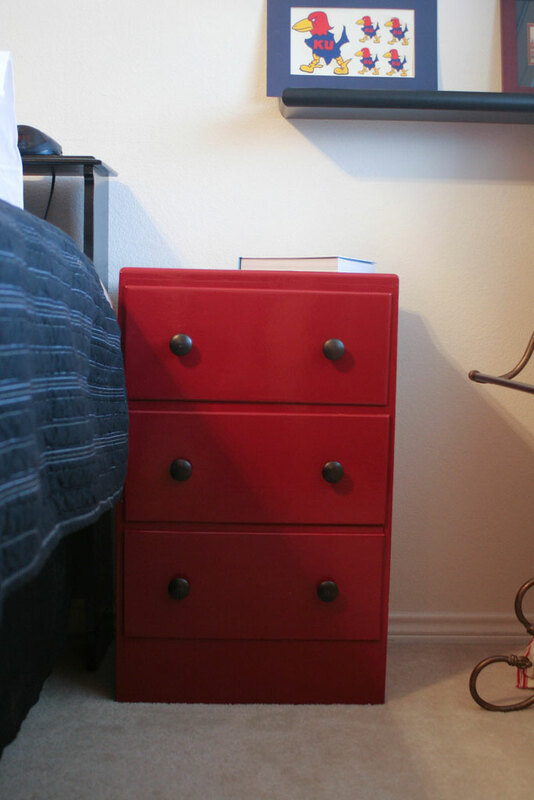 The paint jobs on these before had not been all that careful about where the paint went, so I didn’t cover any parts of my drawer, I didn’t mind if the sides got some red paint on them. Step 2: Lightly Sand- I use whatever I have on hand, but somewhere around 150 grit sand paper or a medium grit sanding sponge. You want to take off a little bit of the sheen, but mostly just rough it up a bit. (WARNING: If what you are sanding was painted prior to 1978 you should check it for lead paint. IF it has lead paint DON’T SAND IT. Sanding lead paint releases toxins that you don’t want to release. If that is the case, just skip this step and go straight to priming.) 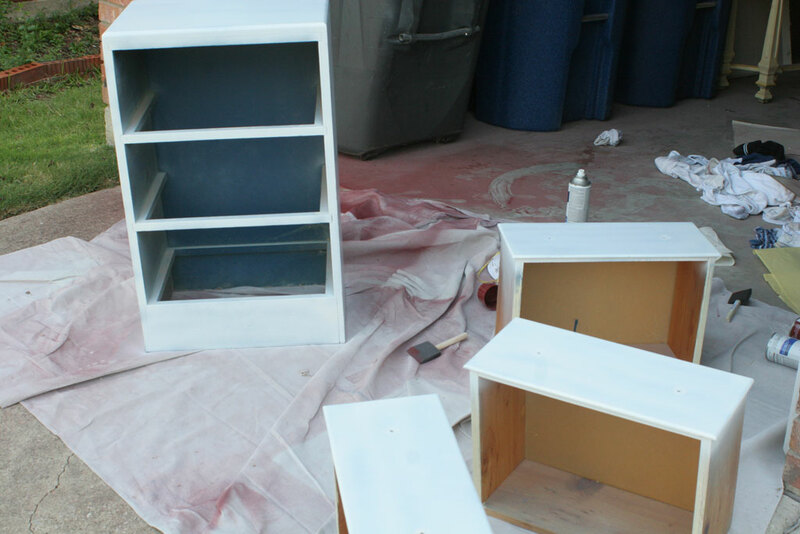 Step 3: Prime it- I usually use Rustoleum’s Spray Paint primer in white. You can use their dark gray primer if you are painting it a dark color, but I’ve never had a problem using the white. You’ll see below I paint these a fairly dark red it had no problem covering the white primer in 2 coats. 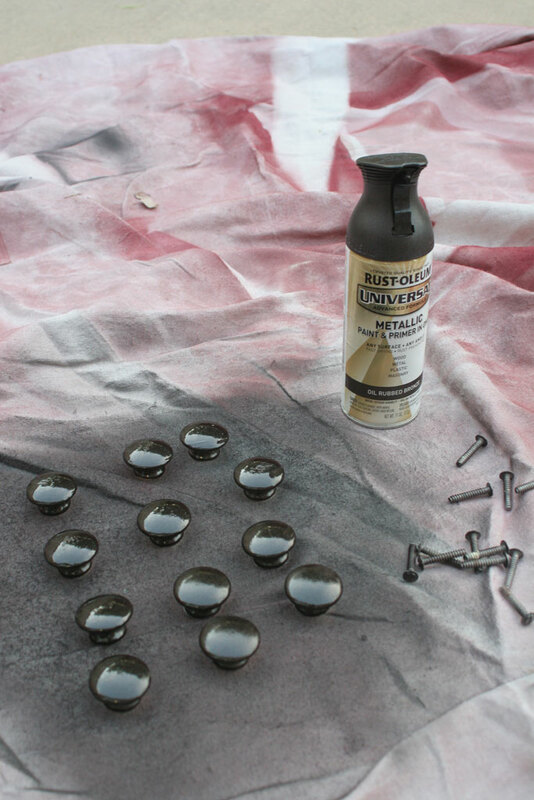 Check out steps 4 and 5 for some generic spray painting tips that are good to know regardless of what step you are on! Spend 5 bucks one time on the extra spray paint trigger handle… you can use it forever and will save your finger from getting that very attractive line of spray paint on it (not to mention its way more comfortable). You can see it on my paint can in the pictures below. WORTH. EVERY. PENNY. Start spraying just before your piece of furniture (so the first seconds go into the air) and JUST KEEP MOVING. 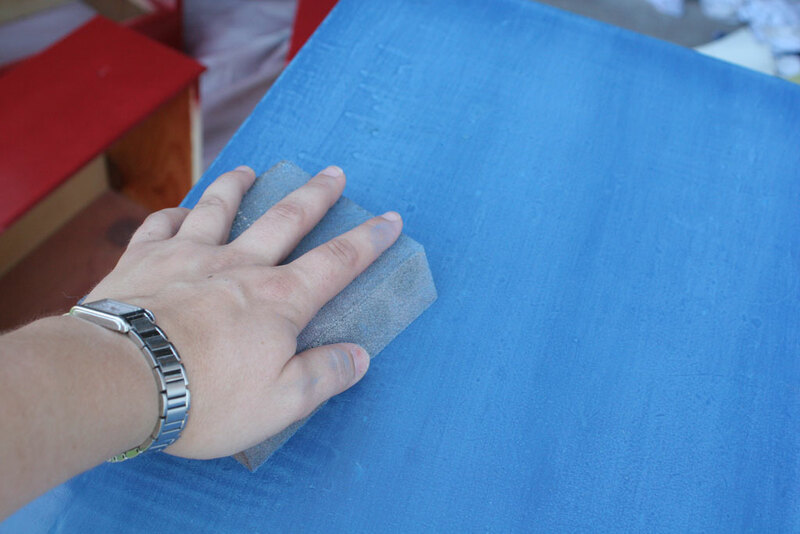 Your first coat should barely cover the piece… it’ll look splotchy and incomplete. THATS OKAY. You are going to add a second coat. If it still isn’t covered or doesn’t look even, do a third light coat. 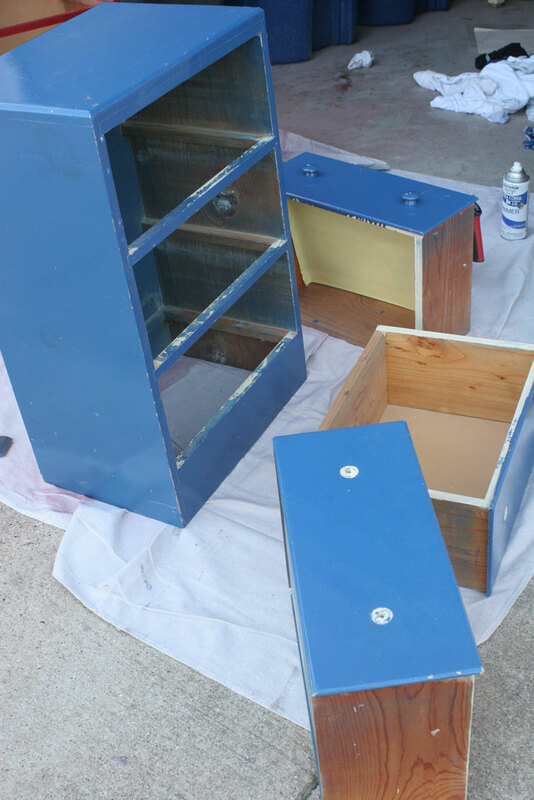 Since I actually did this project pre-blog I don’t have a picture between the two coats, but you get my gist. 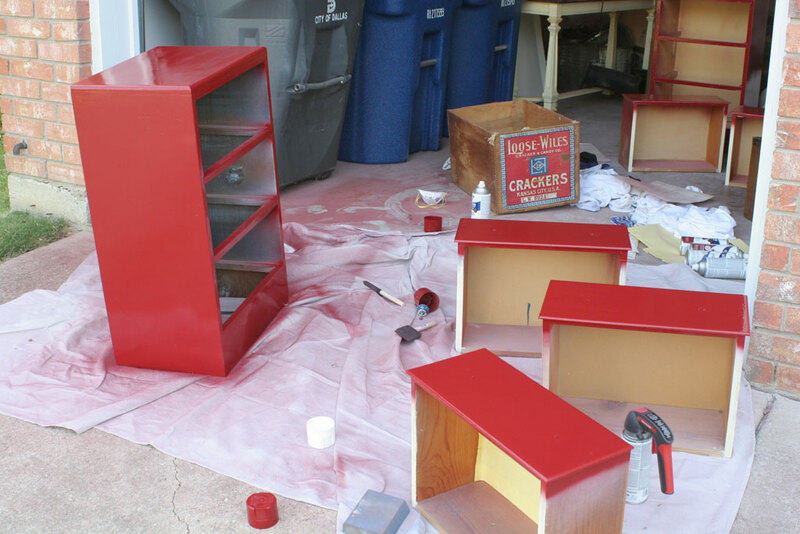 I used Rustoleum’s Colonial Red spray paint in Semi-gloss. Its one of my favorite dark red colors. I didn’t want to go out and buy new hardware for these dressers, but I felt that the wood knobs in the same color looked a little cheesy, so I decided to paint them with a metallic spray paint Rustoleum’s Oil Rubbed Bronze. I followed the same procedure I listed out above, just this time I didn’t prime since it is paint and primer in one. 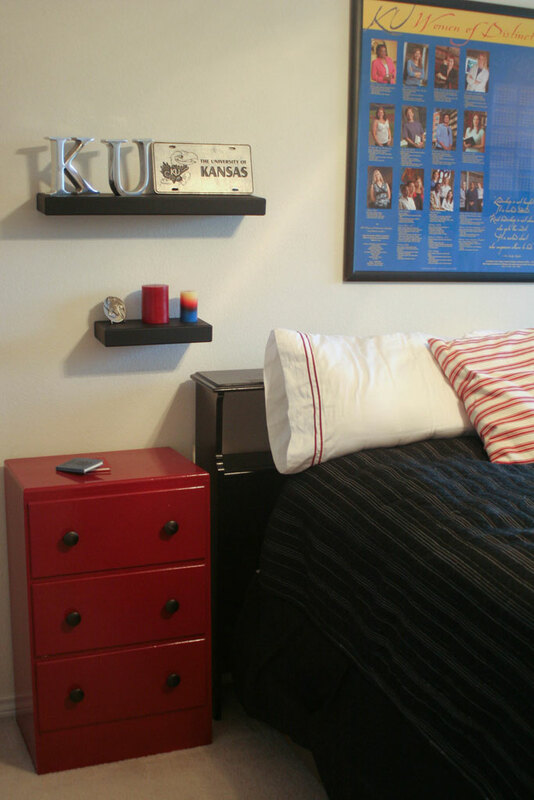 I haven’t shown this room on the blog yet, but here they are in action in the guest room! Voila! Cute little matching side dressers!